On the 8th of February, the Minister of Foreign Affairs of Turkmenistan was on a working visit to the Republic of Tunisia. The delegation of Turkmenistan was received by the President of the Republic of Tunisia Beji Caid Es Sebsi. During the meeting, the President of Tunisia expressed profound respect to the President of Turkmenistan Gurbanguly Berdimuhamedov and underlined the significance of Turkmen-Tunisian relations’ development at current stage. It was also noted that both states actively cooperate in the international arena, particularly in the framework of the United Nations. Tunisia stands as the coauthor of numerous United Nations General Assembly Resolutions initiated by Turkmenistan and unanimously adopted by the international community on such directions as sustainable transport, the role of preventive diplomacy and mass sports. Special attention was paid to strengthening of relations in the trade-economic sphere. In view of further development of relations between two countries, the President of Tunisia proposed to organize visits of delegations at governmental and ministerial levels, as well as initiated the establishment of joint working group, the work of which will be focused on widening bilateral cooperation. At the same day, negotiations took place in the Ministry of Foreign Affairs of Tunisia between the delegations of Turkmenistan and Tunisia, during which wide range of issues was discussed pertaining to political-diplomatic, trade-economic and cultural-humanitarian spheres. The Tunisian delegation was headed by the Minister of Foreign Affairs Khemaies Jhinaoui. As the result of the negotiations, the Memorandum on Political Consultations between the Ministry of Foreign Affairs of Turkmenistan and the Ministry of Foreign Affairs of Tunisian Republic as well as the Memorandum of Understanding between the Ministry of Foreign Affairs of Turkmenistan and the Ministry of Foreign Affairs of Tunisian Republic on cooperation between the Institute of the International Relations of the Ministry of Foreign Affairs of Turkmenistan and the Diplomatic Institute for Training and Studies of Tunisia were signed. In the second half of the day, Turkmen delegation held a meeting with the Minister of Development, Investment and International Cooperation of Tunisian Republic Ziad Al Azari. The parties stated the presence of wide opportunities for establishing ties in such areas as investments, industrialization, trade and agriculture. The consensus is reached on the development of contractual-legal basis regulating the relations between two countries in the investment and tax spheres. The necessity of establishing direct contacts between business circles of two countries was particularly stated. 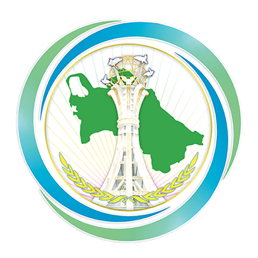 In this regard, the sides agreed on exchange of business delegations on mutual basis, holding business forums as well as ensuring participation of representatives of the governmental structures and companies of two countries to international conferences, exhibitions and fairs organized in Turkmenistan and Tunisia.